Abstract: Based on a definition of knowledge as “justified true belief,” this paper develops a vision of global, collaborative knowledge creation in a World of Arguments that is centrally stored on the Internet. Knowledge claims and hypotheses would be formulated, justified, and debated on continuously growing and improved argument maps. Additionally, the paper discusses a few problems of this vision. Keywords: AGORA-net, argument mapping, collaboration, computer-supported argument visualization (CSAV), individuality, Internet, knowledge, logosymphesis, scientific practice, visualization. The definition of knowledge as “justified true belief” – which seems to be widely shared in philo¬sophy since Plato introduced it in his dialog Theaetetus (201d) – requires that one can know only what one is able to justify. What we cannot justify, we might believe, but we do not “know” it. Only those statements can be claimed to be knowledge that can be justified by reasons. For this reason we can say that the process of justifying claims and hypotheses is at the core of knowledge creation. Providing reasons is the essence of scientific activity. 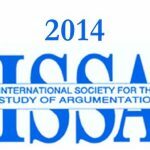 Abstract: Basing on the Argumentum Model of Topics (AMT) within the general framework of a pragma-dialectical viewpoint on argumentation, this paper analyses the role of argumentation from analogy in international migrants’ decision-making processes on the basis of a corpus of interviews to migrant mothers resident in the greater London area. Reasoning from analogy allows evaluating pragmatic decisions – such as leaving one’s home country, staying over in a foreign country, etc. –in terms of feasibility and reasonableness. Keywords: Argumentation from analogy, loci, international migration, migration strategy, inner argumentation, functional genus. In the framework of analysis of contextualised argumentative discourse, this paper approaches argumentation from analogy in international migrants’ decision making processes. International migration is a phenomenon which can be approached in a variety of dimensions and contexts, from families to institutions, to media portraits of migration. Amongst these contexts, a significant case in which an argumentative analysis may help shed light on the phenomenon of migration is family and individual decision processes concerning the decision to migrate or (not) to go back to one’s home country. In the literature on international migration, general terms to describe the reason why individuals migrate are defined push/pull factors or migration determinants (cf. Castles and Miller 2009: 21ff). These terms, however, only cover general concepts that tend to identify social tendencies without explaining individual trajectories and objectives. Other authors introduce the notion of migration strategy in order to more specifically account for the long-term goals and projects of the individuals who opt for international migration. For example, in studying strategies of Polish migrants to the UK, Eade (2007) distinguishes (amongst other categories) between hamsters, who consider their stay in the UK as a one-off act, intending to return to their home country as soon as they have accumulated enough capital; and searchers, namely “those who keep their options deliberately open”, thus being characterized by “intentional unpredictability” (Eade 2007: 34). Approaching individual migration strategies from an argumentative viewpoint means casting a new light on the individual goals and reasons why each migrant chooses to start a migration trajectory, thus allowing a nuanced view of this phenomenon. With the intention of moving forward on this path, I consider international migration from an argumentative viewpoint in the framework of personal decision-making strategies, thus also approaching the field of inner argumentation (Greco Morasso 2013). Amongst the possible argument schemes used by migrants in their inner argumentative dialogue, I claim that a significant role is played by argumentation from analogy, allowing migrants to compare their present situation, in which a decision whose effects are uncertain has to be faced, with other more familiar situations. In migrants’ decision making, the locus from analogy appears as a prominent feature, both in terms of frequency of occurrence and in strategic terms, because it is often subservient to the crucial decision of leaving one’s country as well as to equally important decisions, such as to return or not to return (Finch et al. 2009). 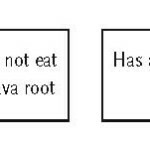 Some examples of migrants’ argumentation from analogy have been shown in Greco Morasso (2013). In this paper, I will claim that analogical reasoning is never the ultimate basis on which a migrant decides to leave (or not to leave), but it is part of a more complex reasoning process. Arguments from analogy, in fact, seem to mainly serve the purpose of evaluating the feasibility of a certain migration strategy. Abstract: Two of Michael Calvin McGee’s unpublished manuscripts hint at how the ancient Greek philosopher Isocrates developed a perspective on argumentation that may be useful for contemporary analysis of public affairs. The first manuscript describes Isocrates as a “cultural surgeon” who operated using “moral argumentation.” The second manuscript suggests how individuals may repair cultural faults using moral argumentation. 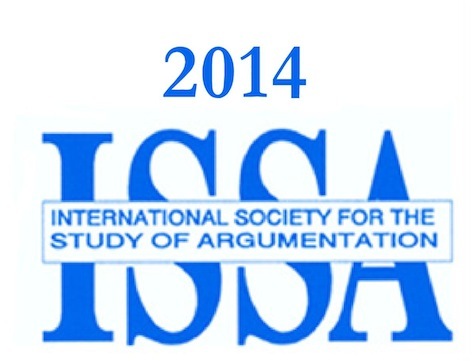 Through rhetorical analysis of Spanish 15­M protest logoi, this paper explores the critical utility of Isocratic moral argumentation. How may an understanding of argumentation scholar Michael Calvin McGee’s use of the term “moral argumentation” inform the analysis of modern-day protest activity? Exploration of this question promises to enrich understanding of this term and shed light on how argumentation by twenty-first century protestors may contribute to the processes of deliberation and unity formation. McGee first describes moral argumentation in the first of his two unpublished manuscripts on the topic of Isocrates (McGee 1986, 1998). In this manuscript, “Isocrates: A Parent of Rhetoric and Culture Studies,” McGee provides no direct definition of moral argumentation; however, some preliminary understandings may be extrapolated from McGee’s use of the term by reading this paper in tandem with the second manuscript, “Choosing A Poros: Reflections on How to Implicate Isocrates in Liberal Theory.” Although the term moral argumentation has been employed in other philosophical contexts, McGee inflects it in a unique and particular way that warrants further study (Habermas 1984, 1988, 1990, 1996). This paper aims to (re)construct the meaning of McGee’s “moral argumentation” to support a case study of protest logoi (i.e., reasoned arguments, such as protest slogans) by the Spanish protest group 15-M.